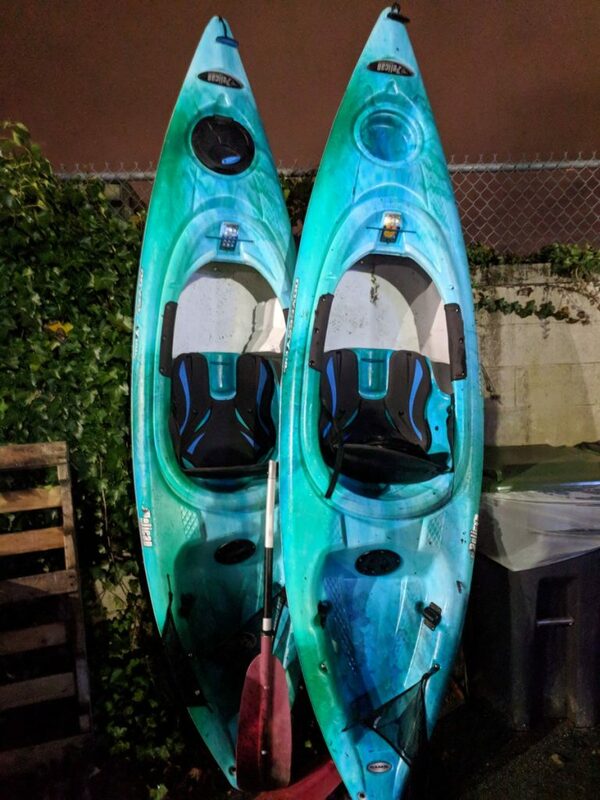 The owners of the kayaks came forward to the Coquitlam RCMP early Monday morning. The Tri-City News covered the story, as has CBC News. 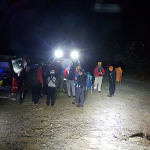 At approximately 16:00 on Saturday April 7th Coquitlam SAR was activated by Coquitlam RCMP after a member of the public reported seeing a kayak in the Coquitlam River with no paddler present. 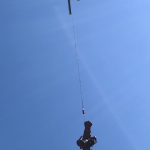 Fearing the worst, the team responded with 20 members and activated Talon Helicopters to assist with a search of the Coquitlam River. 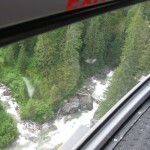 RCMP Air 1 also responded. The first kayak was recovered by the reporting party, a group of fishermen, near where Kingsway crosses the Coquitlam River in Port Coquitlam. 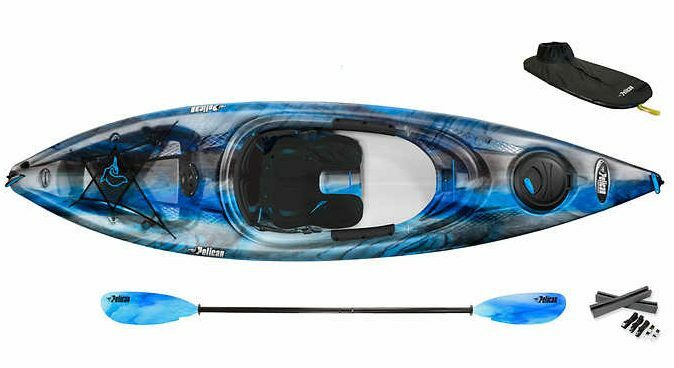 The team quickly located a second kayak and some related equipment south of David Ave near the River Springs neighbourhood. 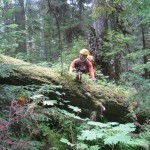 This kayaks was pinned to a rock, and required swiftwater rescue trained members using a rope rescue technique to recover it. 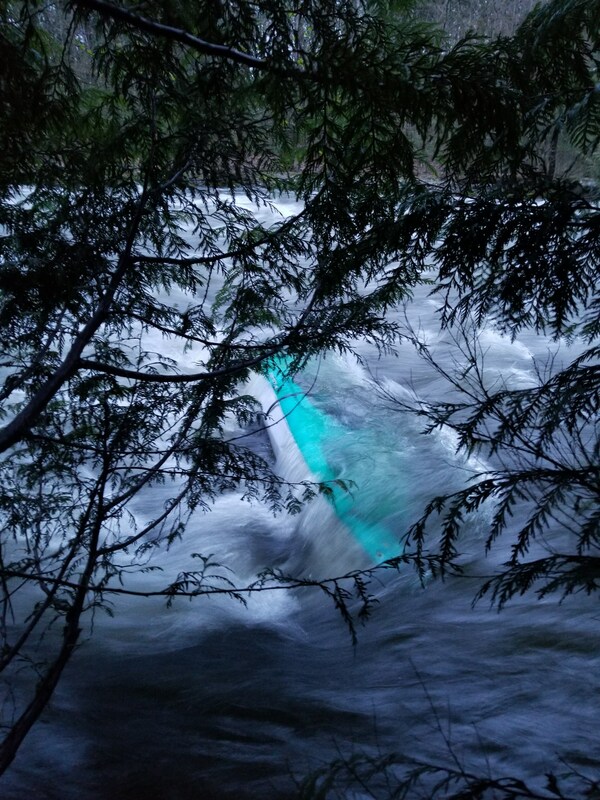 The image of the kayak pinned to the rock illustrates the hazards of the high water levels in the Coquitlam River at this time of year – the force of the water is huge and can pin a swimmer as easily as a boat. 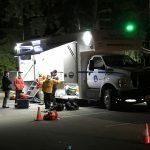 Coquitlam SAR continued searching the river until after dark and the search was stood down at 20:45 pending a further investigation by Coquitlam RCMP. 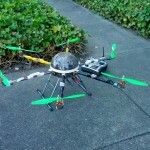 No missing persons were reported. 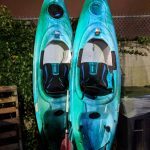 The recovered kayaks are the two, blue Pelican brand pictured below. 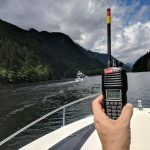 Coquitlam SAR is very interested to hear from anyone who spotted the paddlers, or knows who owns the kayaks. We want to stress that nobody is in trouble, and that we’d like to confirm the safety of all involved, and to return their boats. 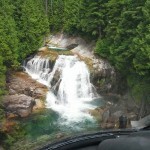 Please call Coquitlam RCMP’s non emergency number with any information. 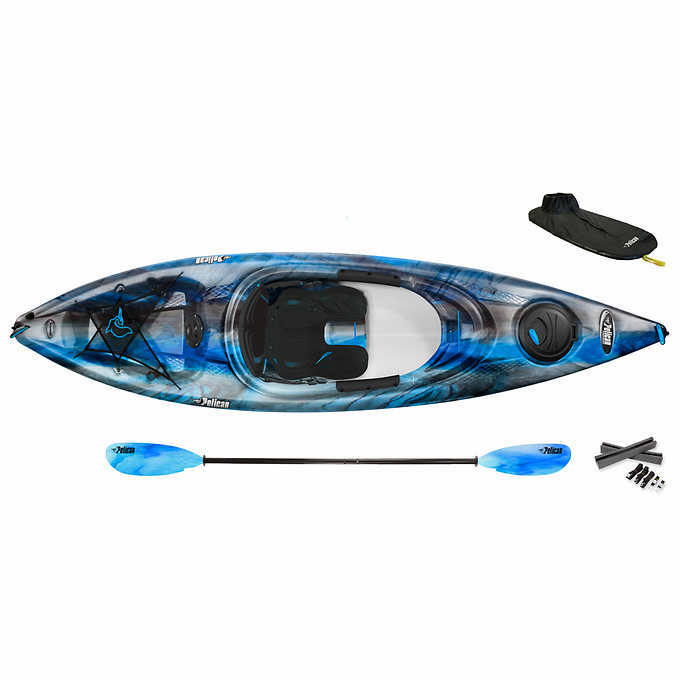 Members of the team and the paddling community have informed us that these kayaks are not intended for swift water and are more appropriate for use on flat water, lakes and some limited ocean paddling. We’d like to remind the public that paddling on the Coquitlam River requires specialized equipment, experience and training, and beginners shouldn’t attempt it.